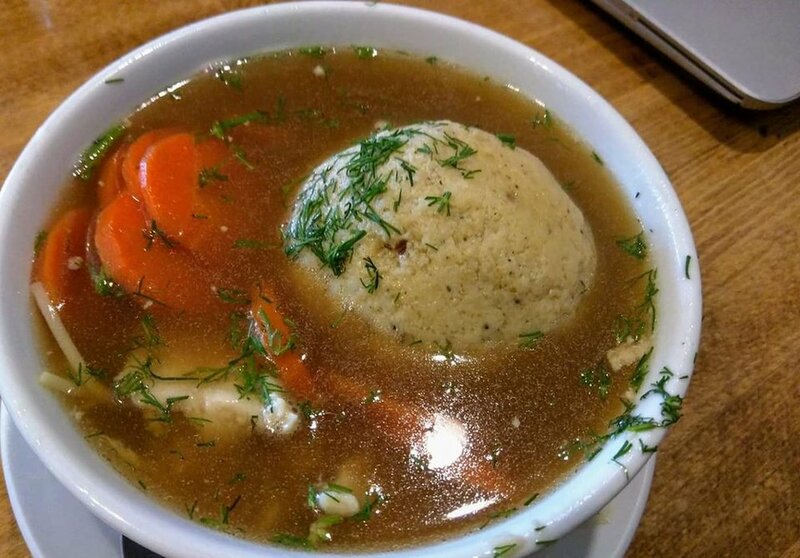 With Passover quickly approaching, we bring you three San Francisco spots serving Seder meals. Whether you plan on celebrating out on the town, or hanging at home with mishpokhe and friends, here are a few options. Wise Sons Jewish Delicatessen is holding its seventh annual Passover Seder at the Contemporary Jewish Museum (736 Mission St.) on Friday, March 30th and Saturday, March 31st at 7pm. The event kicks off with a traditional reading of the Haggadah, followed by a meal featuring dishes like red wine-braised brisket, housemade gefilte fish, matzo ball soup and coconut macaroons for dessert. There's an optional wine pairing with wines from Scribe Winery, too. Also on Friday and Saturday at the Wise Sons' 24th Street outpost is a traditional prix fixe Seder at $35 per person. While not required, the restaurant recommends reserving through Openable. And if you're planning on staying in, Wise Sons' catering services can supply you with a Seder kit that includes a shankbone, horseradish root, parsley, lettuce, egg and charoset; spring seder salad with hard boiled eggs, radishes, almonds tossed in a lemon vinaigrette; and Nana's Potato Kugel. 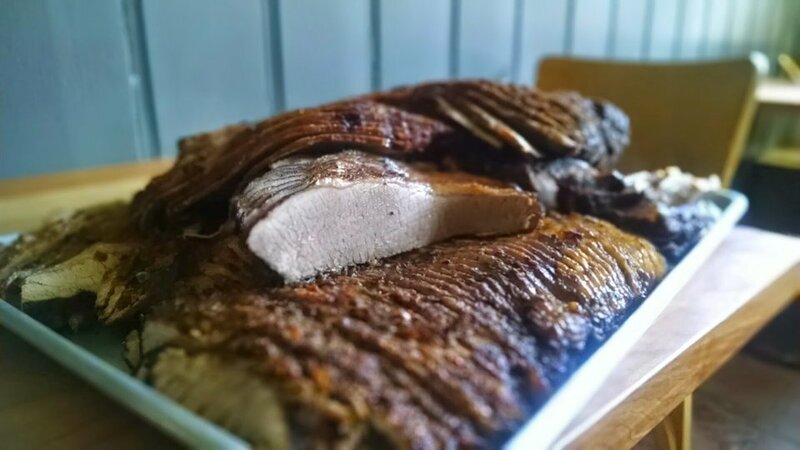 At Russian Hill's Belcampo Meat Co., the restaurant and butcher shop will observe the holiday with with hot and ready-to-serve Passover meals. The customizable packaged meals go for $129 and can feed eight to twelve people according to the eatery. 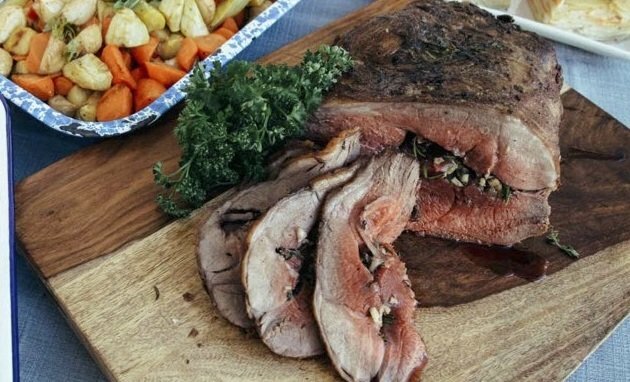 Entree selections include red wine-braised beef brisket and herb-crusted, boneless leg of lamb. As for the sides, there's roasted Brussels sprouts with toasted walnuts, pomegranate and local honey; sweet glazed root vegetables with a honey glaze; and French green beans and trumpet mushrooms with extra virgin olive oil. Orders can be placed in-store or over the phone (415) 660-5573), with meals available to pick up from any Belcampo location March 30th-April 1st. 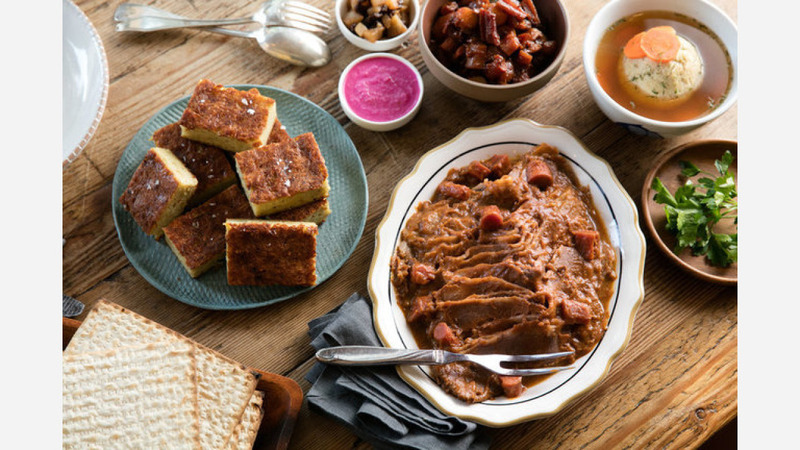 While Noe Valley's Firefly Restaurant has been serving traditional Seder fare for years, the eatery announced it will also offer a variety of its most popular dishes to serve at home this year. "You asked (for 24 years now) and we've answered (sorry for the delay)," the restaurant wrote on Twitter. "This year, Firefly's famous Passover delicacies will be available to-go for your own Seder." Hoodline did not/will not receive any compensation for selecting these restaurants.